The St. Charles Chamber of Commerce invites the business community to engage in quality programs, environments and experiences to create connections. One of the connections is to information and resources which enables our members to expand their knowledge & skills. We welcome the business community to participate in what will be a thought-provoking morning as well as an opportunity to network. The cost to participate is $60, which includes Breakfast. 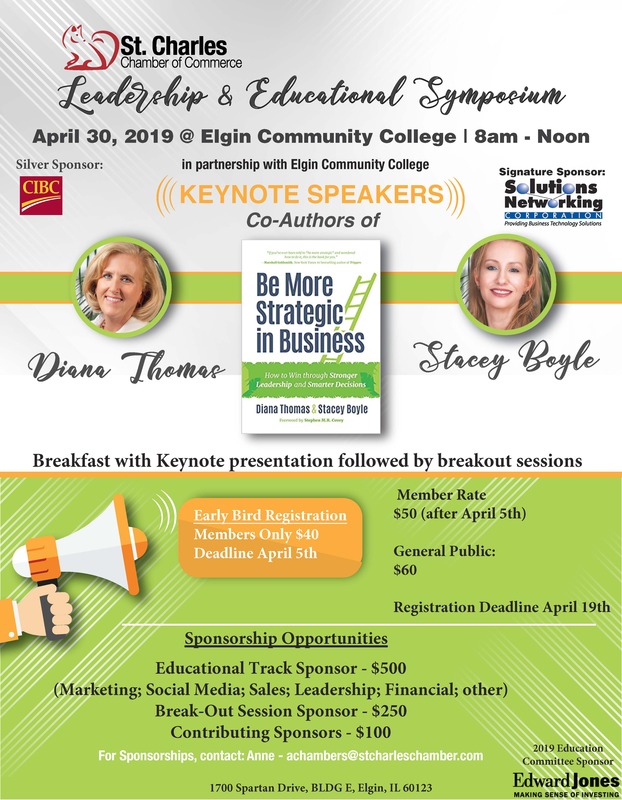 For additional information and to register visit http://members.stcharleschamber.com/events/details/leadership-and-educational-symposium-co-hosted-by-elgin-community-college-29121 or contact the St. Charles Chamber of Commerce at (630) 584-8384.